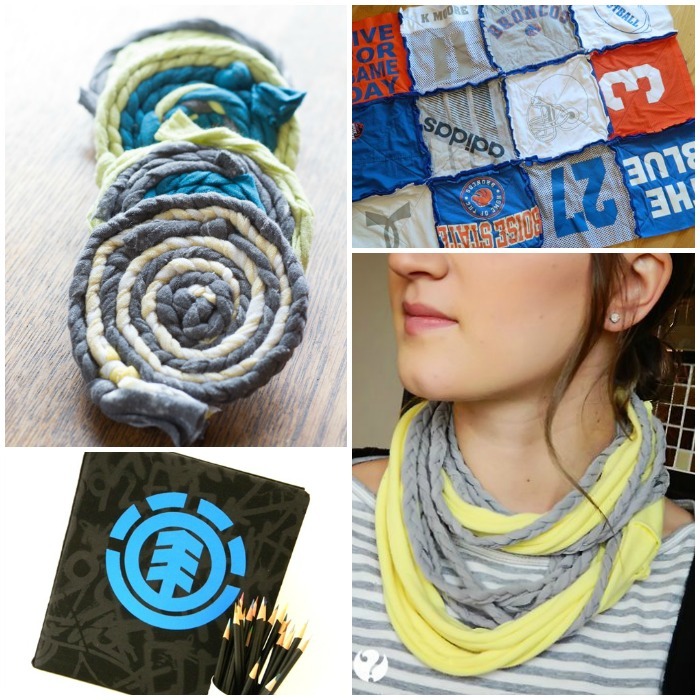 Looking for cool ways to recycle t-shirts? 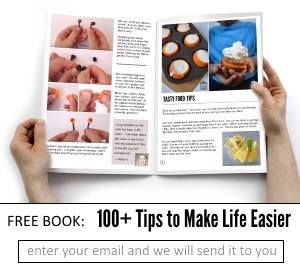 These awesome tips and tricks will have you reusing them in no time at all. What’s the one thing that sports teams or events, field trips, church trips, and family reunions have in common? T-shirts. Almost every time you sign up to these, or things similar to these, you are given a shirt to commemorate your participation. But how many of those shirts do you actually wear anymore? If you’re honest with yourself, probably very few (because let’s face it, the generic fundraiser shirts just aren’t that cute). But you have memories tied to those shirts and you can’t possibly get rid of them. But you need to do something with them because they are taking up space in your drawer or closet that could be used by clothes you regularly wear. So what do you do? RECYLCE!! You can make all kids of awesome (and cute) things out of those shirts that will actually be used. 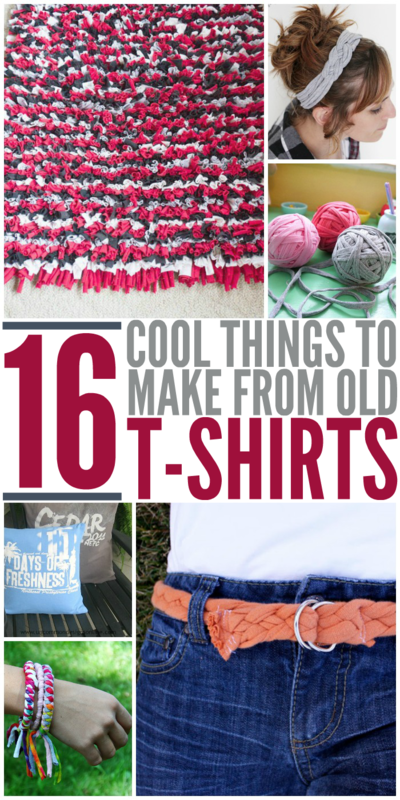 To give you some ideas, we’ve gathered up 16 different projects to recycle t-shirts and give them new life. 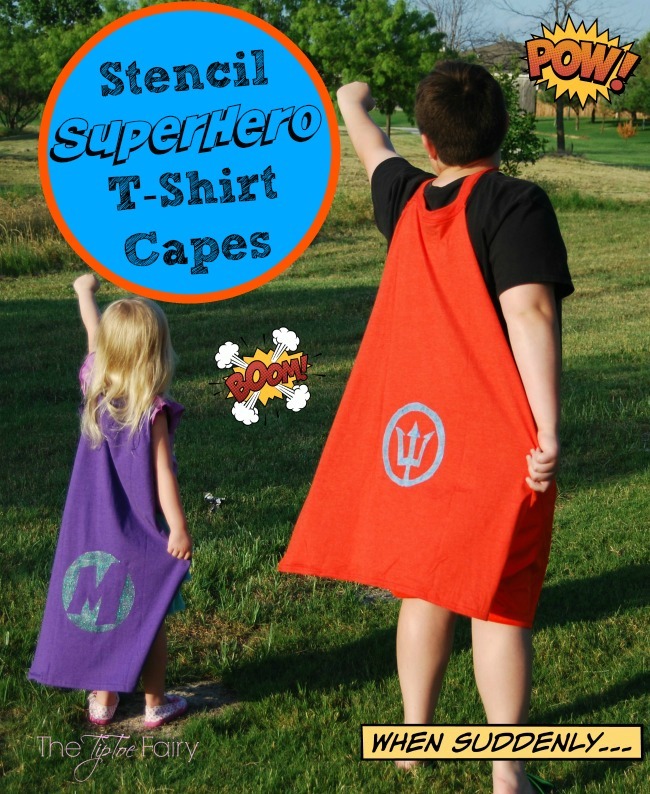 Make some cool capes for the kids. The world needs more superheroes! No sewing skills? No problem! 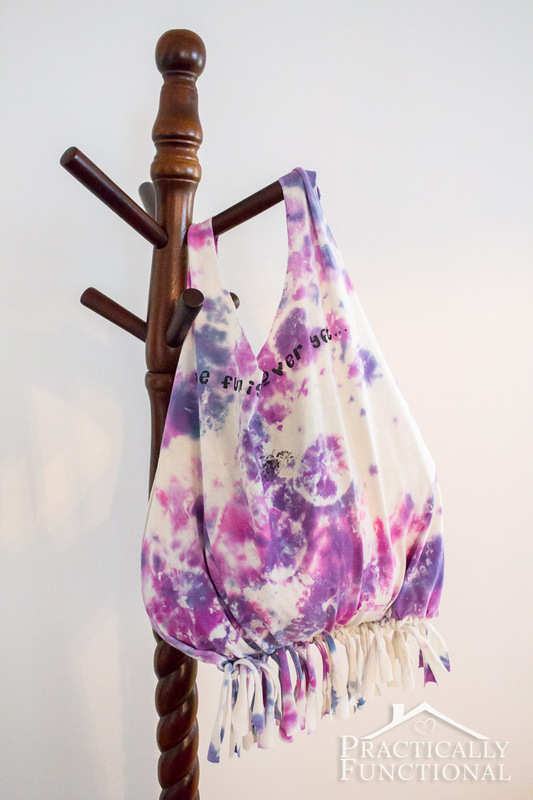 Make a no-sew tote for yourself or for a friend. 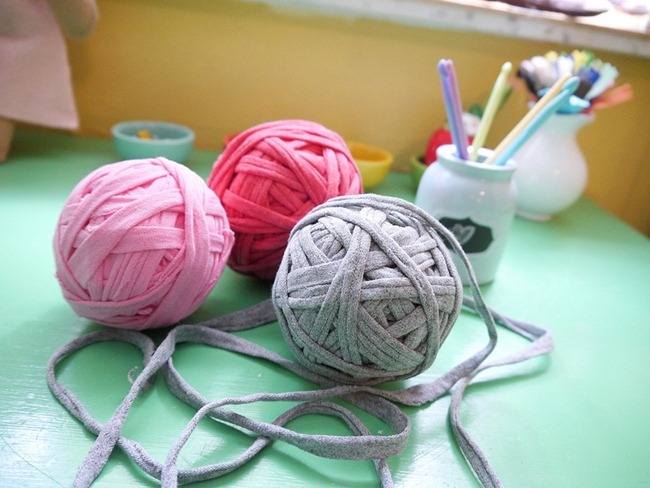 Learn how to turn t-shirts into t-shirt yarn for craft projects. You’ll find several fun ways to use it further down in the post! 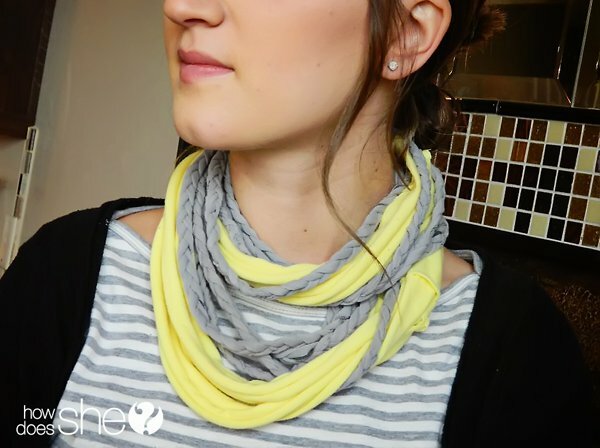 Use a couple of t-shirts to create this chic designer-inspired scarf. Gorgeous! Can you crochet? 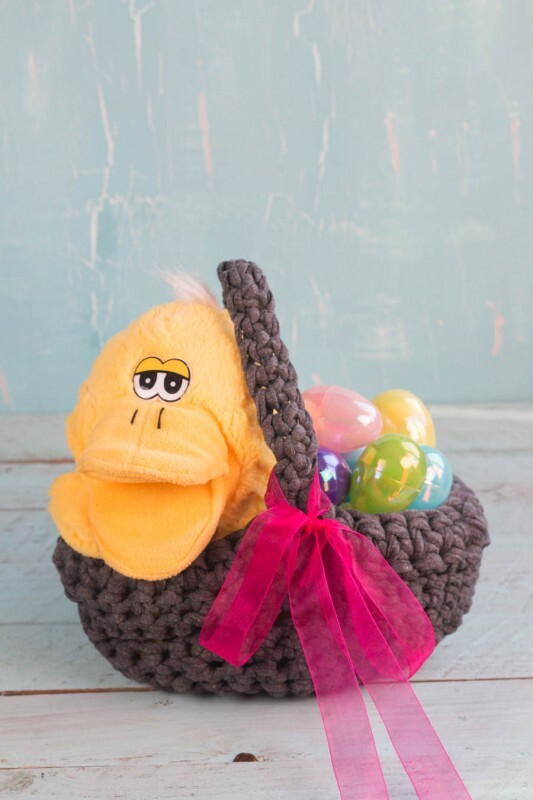 This t-shirt was turned into an adorable Easter basket. 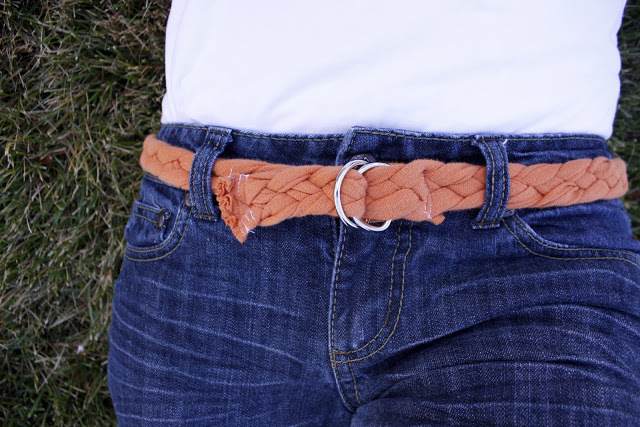 Create a few new belts to add to your wardrobe. Stylish! 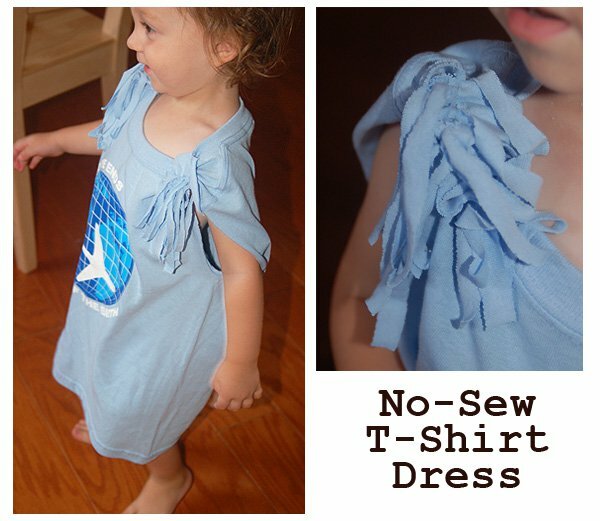 Turn too-big t-shirts into no-sew t-shirt dresses for the kiddos. 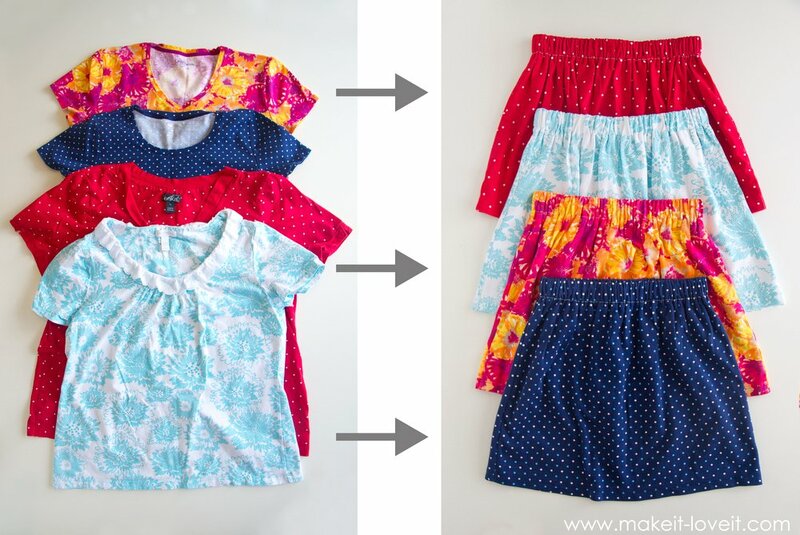 If you have 10 minutes, whip up one of these easy peasy skirts. Seriously… how cute are those? 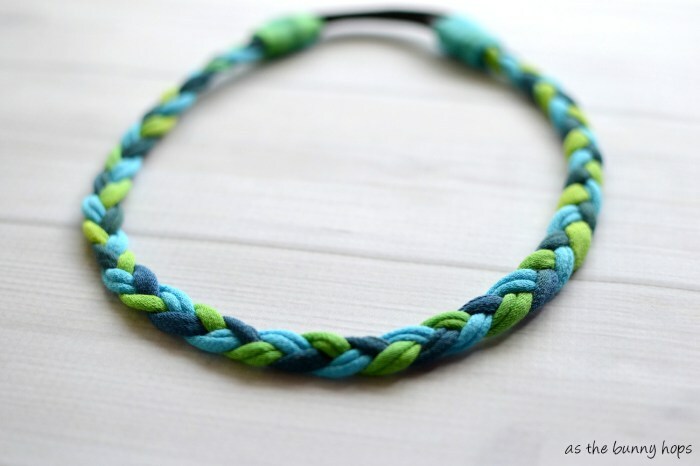 Use some of your t-shirt yarn to create this pretty knotted headband. Great for kids or adults! 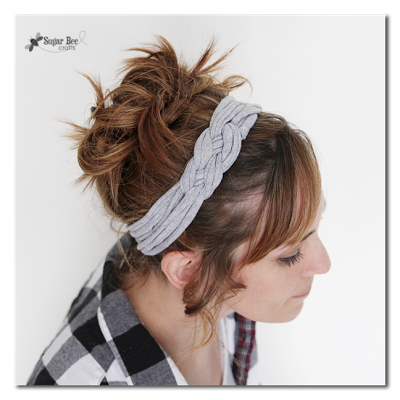 And here’s a braided headband that’s just as gorgeous. 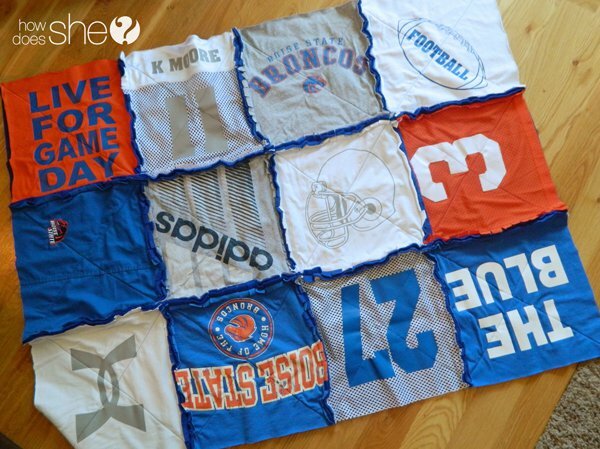 As your kids outgrow their t-shirts for school sports, save them to make a school spirit t-shirt blanket. What a neat idea and a great keepsake for the kids. Tired of water rings on your coffee tables? 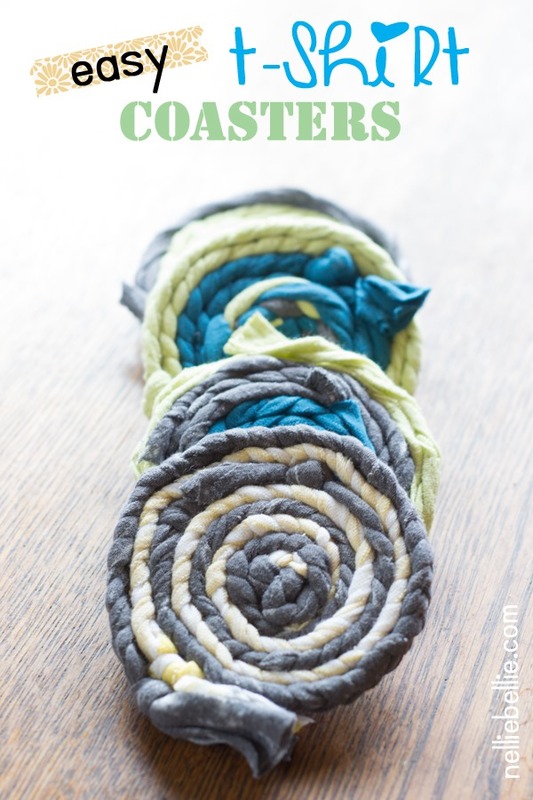 Turn some of those shirts into handy dandy t-shirt coasters. 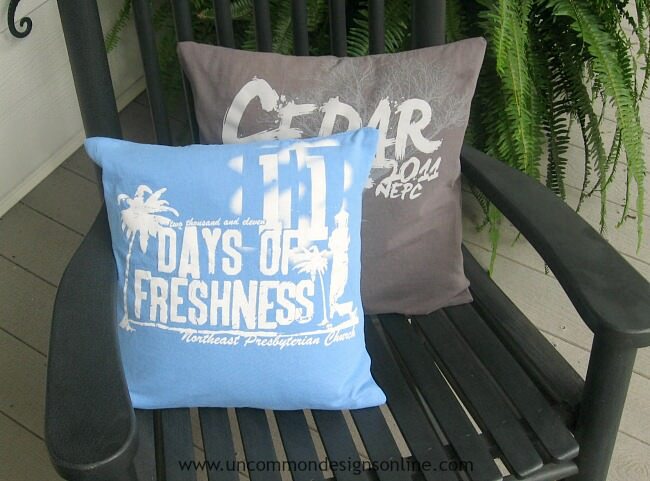 Make some playful t-shirt throw pillows for the deck furniture (or for your couch). Save some t-shirts for your tween or teens next sleepover. 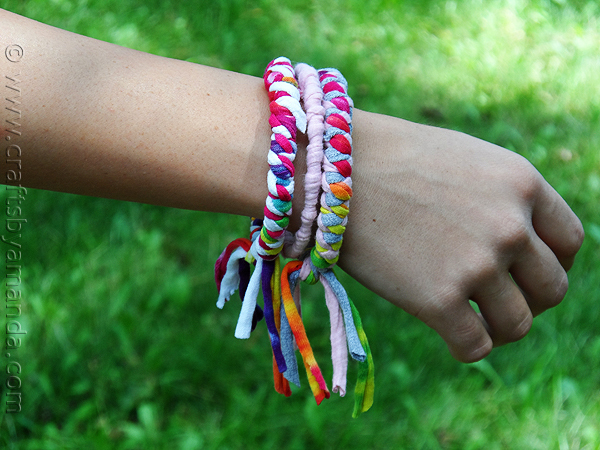 They’ll love making these bangle t-shirt bracelets. Don’t forget these ways to recycle t-shirts! 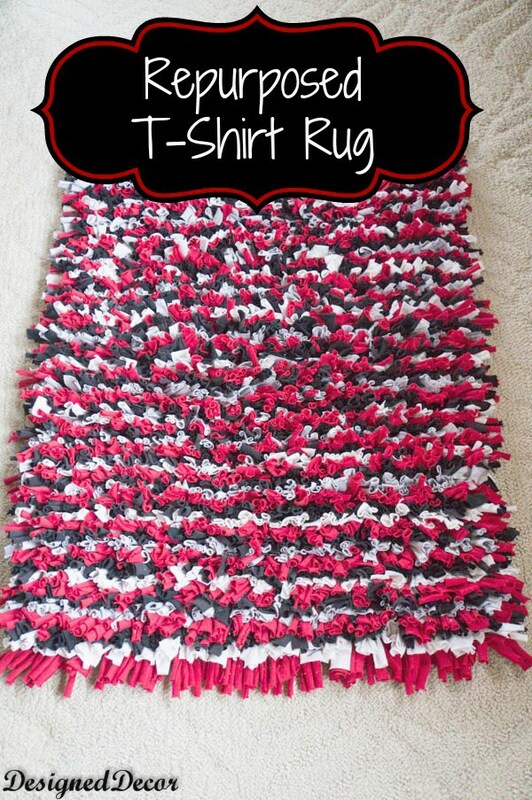 Make a t-shirt rug for the kids’ room. 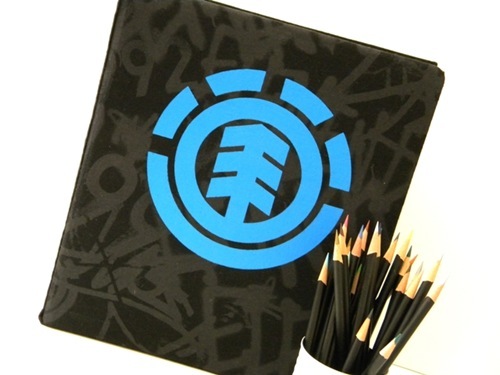 Cover a binder with an old t-shirt to add a touch of flair and an extra layer of protection. Neat way to keep using binders after they’re looking a little ragged. Goodbye to guilt over getting rid of memories. So long crowded closets and drawers. You can make space for the things you need and give your t-shirts new life and purpose while still hanging onto those memories, and maybe bringing them to mind more often since you’ll be using the “shirt” more. Which idea inspired you most? Want more upcycling ideas? Try this list of wine cork projects! The next time that you think you don’t have a need for a certain t-shirt, it’s time to give it new life by turning it into something else! Be creative and use your mind to create something amazing! Do you have any ideas on how to recycle t-shirts that you no longer need or wear?